Mayor Thomas M. Menino’s Office of Arts, Tourism & Special Events is happy to announce the eighth annual Waterfront Performing Arts Series. 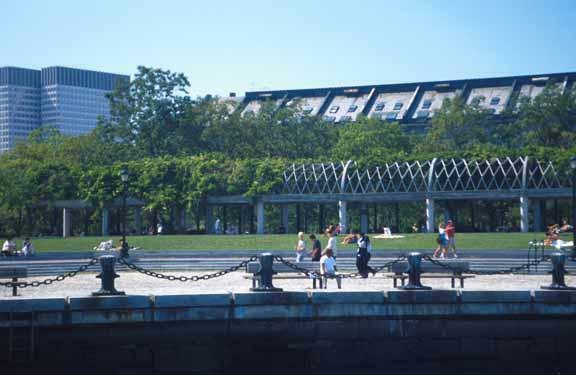 The series, presented by Liberty Mutual Insurance, takes place on Tuesday evenings, 6 – 8 pm, from August 7 to August 28th at Christopher Columbus Waterfront Park. Commonwealth Skakespeare Company: Love is in the air in this free music-filled performance inspired by Shakespeare, just right for young audiences. Commonwealth Shakespeare Company's 2012 summer touring initiative features two productions. Shakespeare on Love, is a collection of scenes, songs and sonnets performed by actors in the summer apprentice program from 6-7pm. Told through contemporary tellings of Shakespeare's love scenes, and complimented with popular music, Shakespeare on Love will strike familiar chords as well as offer a few surprises for the whole family. The Jazz Age Revival at Christopher Columbus Park with Boston Swing Central - The Jazz Age was a golden age, with prohibition, F. Scott Fitzgerald, T.S. Eliot, and the birth of Jazz. Boston Swing Central will try to recapture some of that spirit and energy as they present the Jazz Age Revival at Christopher Columbus Park. The evening will kick-off with a free hour-long dance lesson. The lesson is open to all who want to learn how to cut a rug to the hot jazz of this gilded and glorious era. You might even learn a little Charleston too! Boston Opera Collaborative - Join BOC as Boston's finest up-and-coming young artists perform arias and scenes from the operatic canon from 6-7pm. Tríne Chéile featuring Rosemary Caine - A mixed media eclectic Celtic band with an emphasis on arrangements of music from the ancient Celtic to cutting edge contemporary from 7-8pm. Annie Royer - Annie Royer will perform French Cabaret songs, which will include some Edith Piaf, Jacque Brel and Cabaret Repertoire. 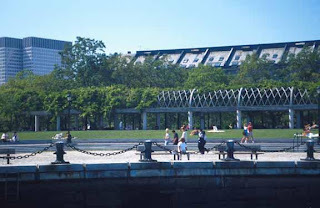 0 Response to "Waterfront Performing Arts Series - Starts 8/7"